After collecting maximum points in their opener, Carlos Queiroz’s Iran will face heavyweights Spain in a crucial Group B encounter on Wednesday afternoon. Iran currently top Group B with three points after beating Morocco in their opener and they are two points clear of both Portugal and Spain who cancelled each other out. If the Iranians get something out of this game, they would start dreaming about qualifying for the Last 16 for the first time ever. The win against Morocco was only their second ever in the World Cup finals, with Team Melli’s only other win coming in the 1998 tournament when they beat United States 2-1. That should be a motivating factor for a group of players that are playing their last tournament under Queiroz as he rejected a contract extension. Queiroz praised his charges for executing his plan accordingly in his defensive approach, saying, "Our strategy from the first minute was to create a mental collapse in the Moroccan players and we tried to do that by creating frustration and blocking all the play-makers." How they will manage that against Spain will be interesting as La Roja have so much creative talent all over the pitch. Spain are in desperate need of points as they drew 3-3 with Portugal in their opener and any slip-ups here could make the final round of group stage fixtures interesting. Diego Costa bagged a brace in that match and I’m expecting him to bully the Iranian defenders. The team’s midfield is like a well-oiled machine with Fernando Hierro being able to accommodate Andres Iniesta, Isco, David Silva, Sergio Busquets and Koke in his starting line-up. Thiago Alcantara also came on in the second half and did well. It’s upfront where they lack options with Costa being the only prolific striker and the alternatives being Lucas Vazquez and Iago Aspas. It was also interesting to see one of the goalscorers, Nacho starting at right-back ahead of Dani Carvajal and Cesar Azpilicueta but he redeemed himself by scoring a cracker after conceding a penalty early in the game and he had a good game overall. Beiranvand; Hajisafi, Cheshmi, Pouraliganji, Rezaeian; Shojaei, Ebrahimi, Amiri; Ansarifard, Jahanbaksh, Azmoun. De Gea; Nacho, Pique, Ramos, Alba; Busquets, Koke; Silva, Isco, Iniesta; Costa. I’m expecting a goal fest here as Spain are in desperate need of points and the price for two or more goals is enticing. 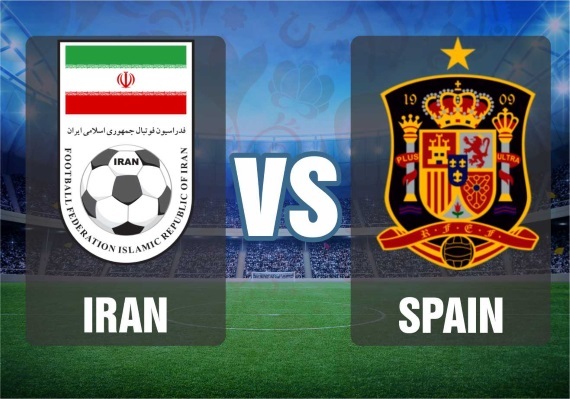 I don’t see Iran stopping the Spaniards from putting more than two goals past them and that’s the result I’m backing.